It must have been a breezy, Wednesday evening in the spring quarter of 2016 when Christopher Iverson hooked up his sleek, compact white projector to his Wii U and took it right outside Surge 173. The projector emitted its light onto the northernmost wall of the Highlander Union Building and once it came into focus, a title screen emerged with the words “SUPER SMASH BROS. FOR WII U” and all he had to do was press start. Iverson, now a fourth-year electrical engineering major, was the president of the now-defunct “Super Smash Bros.” club on campus, Super Smash ‘Side. And on that night, he wasn’t the only one playing on a nearly 10-foot large display of Smash Bros. on the side of the HUB building. Dozens of people in attendance came together to enjoy each other’s company while playing Nintendo’s popular mascot brawler. Set ups of CRT TVs, screen monitors, Gamecubes, Wii’s and Wii U’s flooded the room just so everyone could have a shot at playing the games in the series. This, however, was just one of the many tireless days and nights UCR students have come together to compete and have fun with each other in a gaming franchise that was never supposed to have a competitive scene as active and grand as it is today. 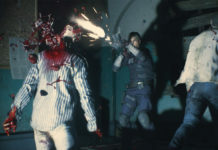 Though the franchise has garnered four different games throughout its 18-year run, two games in particular have stood out for catering to the competitive crowd. 2001’s “Super Smash Bros. Melee” for the Nintendo Gamecube is unequivocally the most popular and long withstanding game in the series due to its fast and technically demanding gameplay, which is favored amongst the scene’s competitive players. The most recent entry in the franchise, 2014’s “Super Smash Bros. for Wii U,” (known as Smash 4 by the community), while not as technically demanding nor as fast as its Gamecube brethren, has still managed to amass a strong following, nearly matching that of Melee’s 15 year-old community. Smash Terminology 101: Smashfest (noun. ): A gathering of a group of people who come together to play “Super Smash Bros.” to train and hone their skills; could be casual or competitive play. During his tenure as a student at UCR, Alarcon was a pioneer in making the scene grow into what it is today. “Originally there wasn’t much of a scene at UCR,” reflects Alarcon of his sophomore year, “There was no platform for people to host Smashfests.” So it was then that he took it upon himself to find others like him that shared his passion for the series. “There was a video game group that used to meet irregularly on Saturdays at UCR called Arcade Revival,” Alarcon explains. 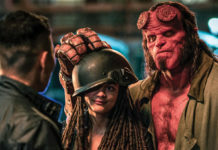 The group mainly focused on fighting games like “Street Fighter IV,” “Soul Calibur” and of course, “Super Smash Bros. Melee.” There, Alarcon began making friends through their shared love of the game. Although Melee was popular in the club, it wasn’t near the level of prominence a game like “Street Fighter IV” had at the time. And though it was a small group of people that played Melee, he sought for more. “After some time, I had the idea to start a Facebook group called ‘UCR Smash’ for students to be able to find each other to play,” says Alarcon. Within a few weeks, Alarcon’s group amassed at least 200 members and, at time of writing, has managed to surpass over 680 members. With the Facebook group granting the opportunity for many new people to find one another and play Smash, there was only one logical step for the scene to take, and that was to form a club UCR students could regularly attend. That’s where Iverson’s club, Super Smash ‘Side comes in. “After going to a few meet ups at some apartments and having a great time I heard people say they wish there were bigger events at UCR (so) I decided to take it upon myself to start the club,” says Iverson. Smash Terminology 101: CRTs (noun. ): A type of television set prominent during the ‘90s and early ‘00s; favored television set to play “Super Smash Bros. Melee” due to HD display’s input lag, which hinders the ability for competitive players to play at their absolute best. 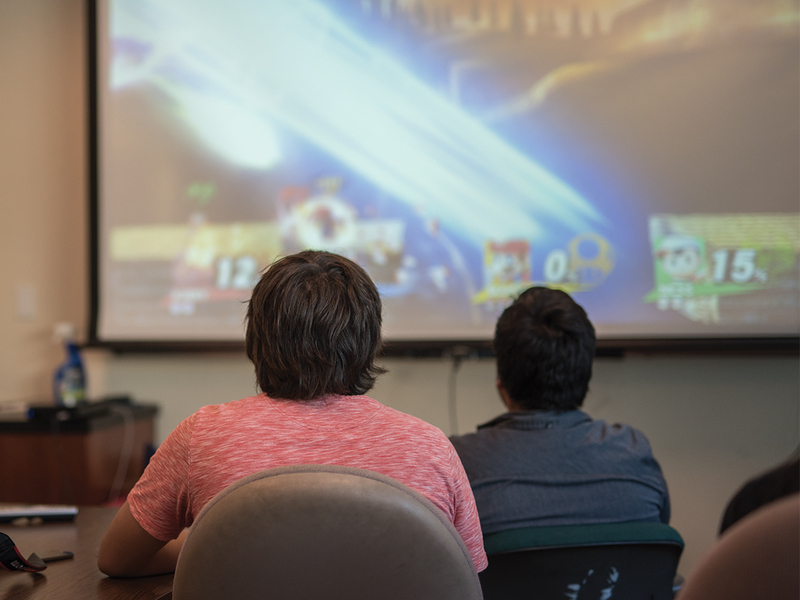 Establishing an official Super Smash Bros. club was no easy task. There were constant hurdles Iverson and his fellow officers had to endure. Chris Shochet, a former business marketing major and now UCR alumni, was mostly in charge of keeping meetings running as smoothly as possible. “Aside from finding rooms big enough, some of the biggest hurdles was just setting up all of the events,” says Shochet. “Because players prefer to play on old CRTs, the TVs are bulky — they don’t fit in cars very well (and are often) difficult to carry.” Shochet reminisces of the times when he and his fellow officers would lug around the bulky CRTs in small, compact carts they borrowed from the HUB. “It led to a lot of strange looks,” jokes Shochet. Iverson and his fellow officers never took their eye off the goal to gather as many people as possible to enjoy the frenetic games. But as time went on, attendance for the club began to dwindle. “The problem was mostly people stopped bringing their set ups, so it became tough to fit 40 people on my five set ups, plus the two to three extra (setups) from other people,” says Iverson. The final straw that broke the camel’s back happened at the last meeting, when Iverson’s Wii U Gamepad was stolen and his copy of Melee was broken. After the meeting, Iverson couldn’t keep up with the perpetual issues the club bogged him down with, no matter how much he loved the franchise. “I discontinued (the club) since it wasn’t worth what I lost and what I was trying to hold together,” he reflects. In spite of losing a club that was fundamental in keeping UCR’s Smash Bros. community up and running, the scene had found other ways to keep its engine running. Ever since Alarcon’s inception of the “UCR Smash” Facebook group, an influx of activity within UCR’s Smash community has burst forth from its shell. Jeremy Luu, a first-year physics major, is part of the Smash community that is vowing to keep the community active through thick and thin, thanks to his contribution to the scene. Smash Terminology 101: T. O. (noun. ): Acronym for Tournament Organizer; responsible for keeping “Super Smash Bros.” tournaments running as smoothly as possible; responsibilities include maintaining and changing tournament brackets, live streaming on Twitch and handling the prize money. As a T. O., Luu has been in charge of hosting tournaments in the local Riverside area. Although not an official club at UCR, he and a few others dub themselves as the officers of a “UCR Melee Club.” As Luu puts it, their cabinet “sees (their) club as a revival of (Super Smash ‘Side), with more of an emphasis on the general Riverside and broader Inland Empire area.” Currently, the club hosts a bi-weekly tournament series at Downtown Comics located near the intersection of of Blaine and Iowa. 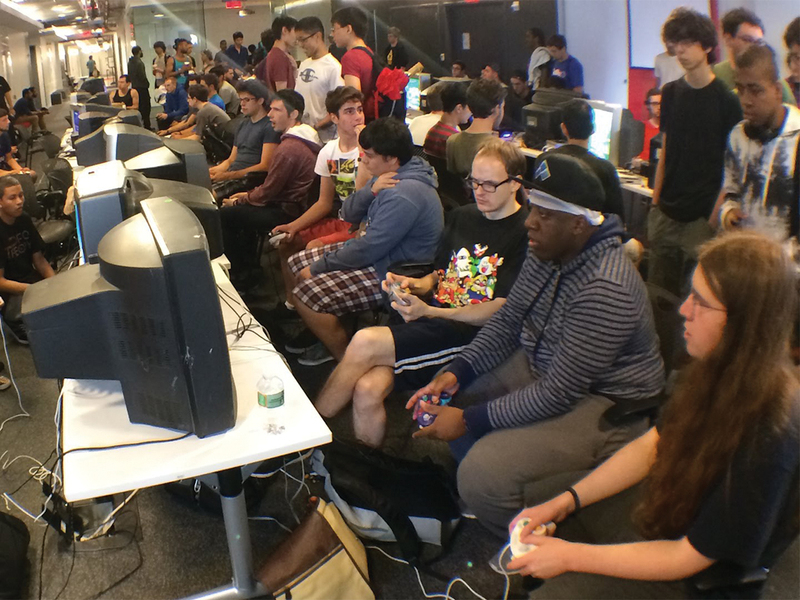 “Super Smash Bros.” was never supposed to have a community as large as it is today. The original “Super Smash Bros.” wasn’t even supposed to release outside of Japan, but yet, Nintendo thought it would be a good idea to bring it stateside. And millions of matches, thousands of players, countless tournaments, Smashfests, Fox vs. Fox duels, no-item brawls and Final Destination matches later, Nintendo has achieved something truly special.